Today, we are comparing Nokia 8.1 with the Honor Play to know which device packs better hardware under its hood. HMD Global owned Nokia has recently launched the Nokia 8.1 higher-end version, which comes with 6GB RAM and 128GB internal memory. The phone is priced at Rs 29,999. The company has launched the Nokia 8.1 4GB variant last year in December. 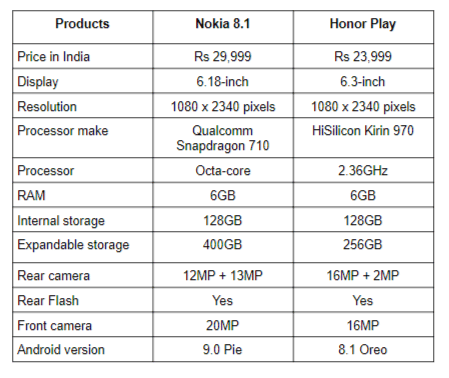 On the other hand, we have the Honor Play, which is powered by a Kirin 970 processor and is priced at Rs 23,999. 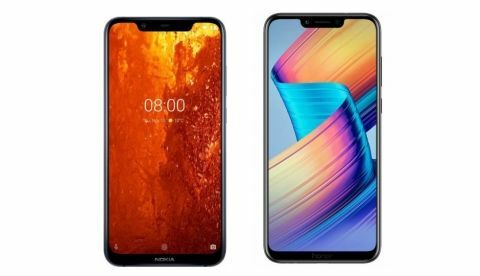 It would be interesting to see whether the Nokia 8.1 would able to give Honor device a tough competition?